IDC has investigated the main “smartphone purchase drivers,” and in a recently published chart (above) the iPhone’s battery life is highlighted as the main reason customers choose Apple’s handset. For iPhone owners, battery life is more important than every other smartphone element polled by IDC, including ease of use, operating system, touch screen, screen size, and camera resolution. Almost half of respondents (49 percent) said that battery life was the main purchase driver when it came to choosing Apple’s iPhone, and a similar trend was reflected across Android- and Windows Phone-powered smartphone owners, too. On the iOS side, ease of use clocked in at the No. 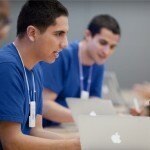 2 main reason customers pick up an iPhone, and third place was allocated to the handset’s touch screen. On the other hand, customers appear least concerned with the device’s camera resolution, the chart notes. 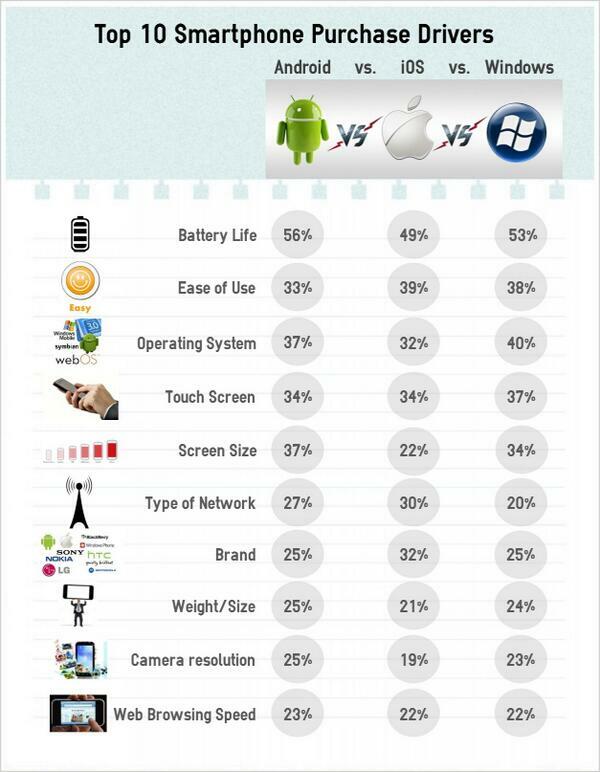 Major differences between the three operating systems concern screen size – Android and Windows Phone owners are more interested in owning a bigger handset – though many other elements, including weight, size, and Web browsing speed, are viewed as being similarly important for users of all three platforms. The chart definitely makes for interesting viewing. On a final note, iPhone owners are also the most concerned about brand and the type of network available to them. Does IDC’s chart reflect the reason you picked up an iPhone handset? See also: Plaintiff In Apple’s Anti-Poaching Suit Calls Settlement ‘Grossly Inadequate’, Mockups Of Apple’s Bigger iPhone 6 Are Compared In 2 New Videos, and AppAdvice Daily: Get Romantic The App Way And Check Out A Great New Photo Editor. 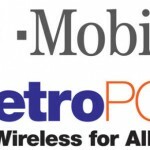 Is Apple's iPhone Coming Soon To T-Mobile's MetroPCS Prepaid Brand?